Pho­tog­ra­phy pod­cast #102 dis­cusses lay­er­ing your pho­tographs with inter­est­ing ele­ments. This involves seri­ous atten­tion to the over­all com­po­si­tion of every frame that you take. If you are tak­ing a shot of a moun­tain for exam­ple, there’s always more to the shot than just the moun­tain. When you are aware of what’s around the moun­tain and take the time to “layer” the image with inter­est­ing ele­ments, the com­po­si­tion as a whole gets much stronger. We also touch on how to refine those “lay­ered ele­ments” in post processing. 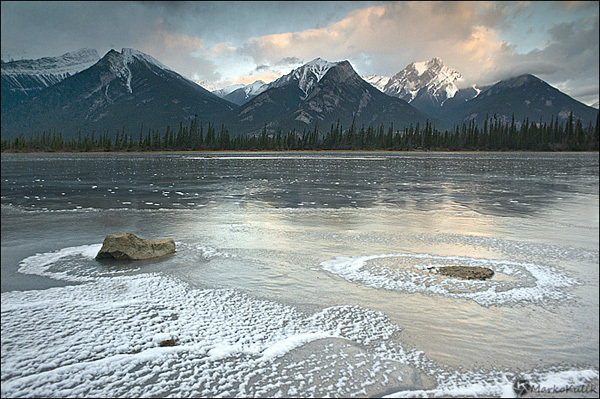 Athabaska River Reflect­ing Pools at Sun­rise by Marko Kulik — Banff National Park — Alberta, Canada. As you can see this shot is about more than just the moun­tain which is in the back­ground. The fore­ground, midground and back­ground “lay­ered” ele­ments all con­tribute to the over­all com­po­si­tion in this scene. Some­times you feel like a nut — Image by Lisa Could­well. Even scenes using larger aper­tures ben­e­fit from “lay­ered ele­ments”. 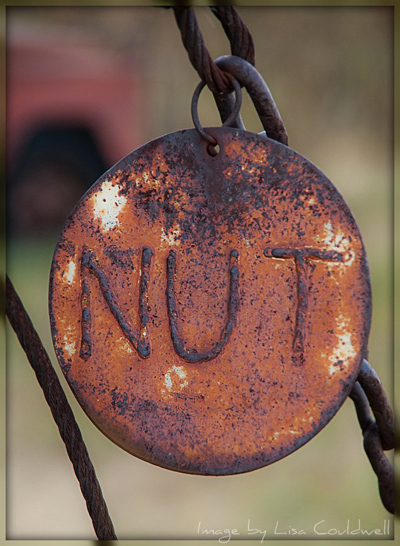 Here, Lisa focuses on the nut medal­lion but the tire in the back­ground is a repeat­ing shape that adds inter­est to the image. The diag­o­nal lines in the image help to guide your eye. The com­po­si­tion here is very deliberate. Thanks to Scorpio_e, Melissa Dorner, Josh G, Math­ias, Avi­tal Pin­nick, Henry. b, and Jill bayer who posted blog com­ments about our last pod­cast. Thanks as always to every­one that sent com­ments by email about our last pod­cast. Although ALL com­ments are appre­ci­ated, com­ment­ing directly in this blog is pre­ferred. Thanks as well to all the new mem­bers of the bul­letin board. Most of the links to actual the prod­ucts are affil­i­ate links that help sup­port this site. Thanks in advance if you pur­chase through those links.